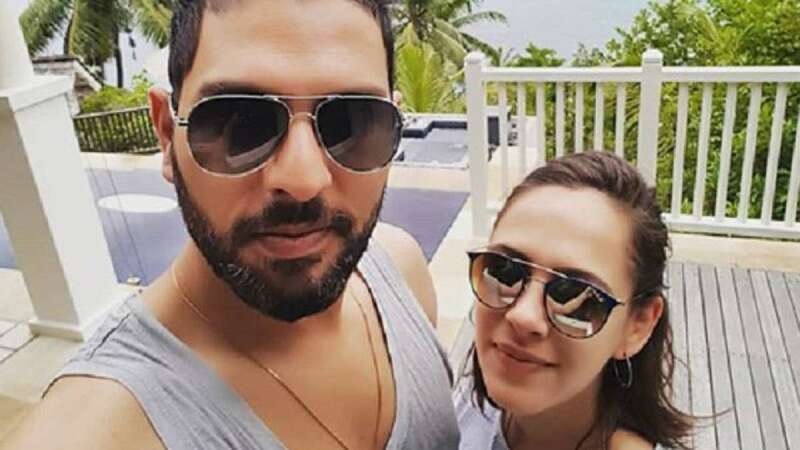 New Delhi : Hazel Keech revealed her husband Yuvraj Singh's biggest drawback that is also a reason she loves him the most. During an interview with television presenter Gaurav Kapur on popular YouTube show Miss Field, Hazel said that her husband never bad mouths anyone. "He (Yuvraj) never bad-mouths anyone, and that's one of the things I love about him, but it's also one of his drawbacks," Keech said. Explaining why she feels so, Keech said, "He sees the best in everybody, but he doesn't necessarily always see the reality in them. He's just got a really good heart." Yuvraj Singh and Hazel Keech had tied knot on November 30, 2016, since then she can be seen often on stands supporting Yuvraj Singh. Yuvraj made his last appearance on the international circuit against the Windies on June 30, 2017 at the Sir Vivian Richards Stadium in North Sound, Antigua.